Certain genres of music sound better when the bass, treble, and other frequencies can be adjusted higher or lower. If you're on the Gingerbread flavor of Android, you're in luck. Note: This how to blog post is for users on Android Gingerbread. If you're still on Froyo or older, you'll have to grab a music player with an equalizer built-in, since you can't adjust the settings across the entire device. 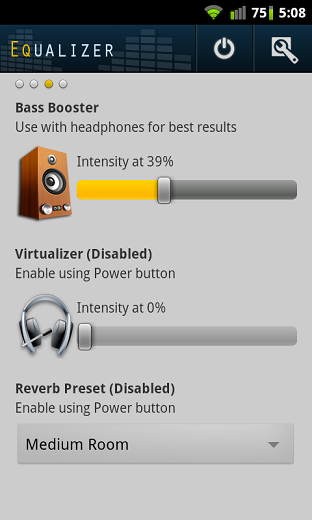 PowerAMP is a great app to start with for Froyo users. 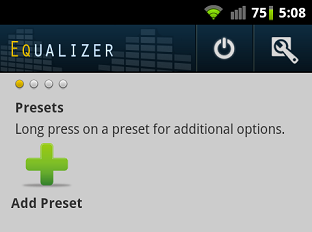 Grab Equalizer from the Android Market, and open the app. 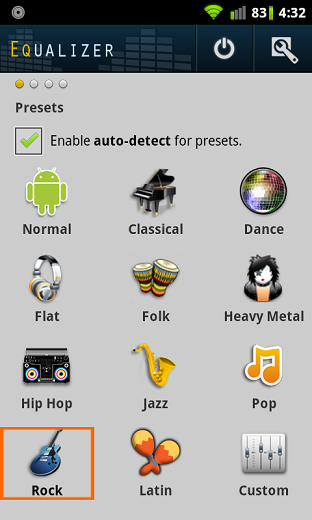 You will see several preset values for different types of music. If you're not looking to do much fussing with the app, you can select one of these settings or even the autodetect option check box and be done. Navigation in the app is done by swiping to the right and left for other screens with more options. If you go one screen to the right, you can view custom presets. However, if you haven't created any of these yet, then simply click the green plus sign to add a new one. Swiping to the next screen on the right will show you a live equalizer that can be adjusted. Here you can press the play button to listen to a sample track, open a song from your own music, or even save your settings. 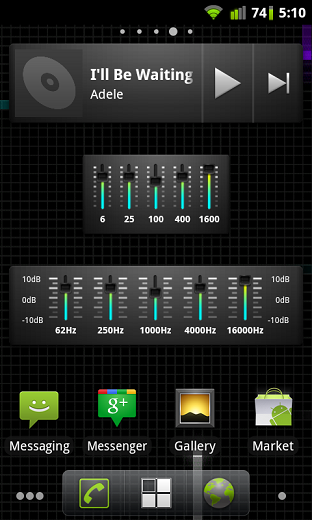 The last screen on the right allows you to turn on Equalizer's Bass Booster, Virtualizer, and Reverb. You'll need to press the power button in the top-right corner of the app, and then check off which features you'd like to enable in order to adjust each. 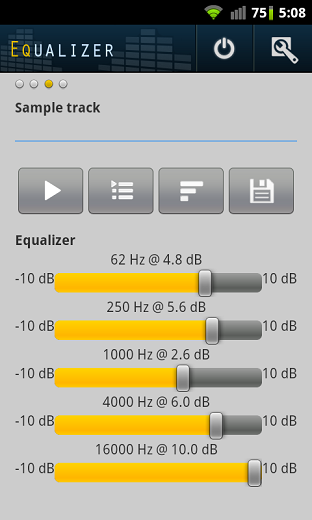 Equalizer offers two widget sizes, both showing the five adjusted frequency bars. A good place to put one of these is near your music player widget, if you're using one. Thank you. this has greatly improved the sound quality.